Northumbria’s Police and Crime Commissioner has assured burglary victims that reducing crime will remain a priority. And Vera Baird has also vowed to ensure that officers continue proactive operations targeting burglars and give out important crime prevention advice so people can avoid becoming a victim. Officers are concentrating efforts on this issue at the moment as it is traditionally more of a problem in the summer months. Thieves use opportunities such as open windows and doors to gain access to homes. Mrs Baird said: “I am determined that Northumbria Police will continue to bring burglars before the courts. “Being a victim of burglary can have an affect on a person’s life and it’s right that we do everything we can to reduce the number of incidents. “Since 2013, Northumbria Police has been running Operation Soundwave, which targets opportunist criminals and promotes crime prevention advice. It has proved successful, with several arrests and charges in relation to burglary since it began. “I will make sure officers continue with it, so that those who are responsible for burglaries in our area are targeted and located and action is taken against them. 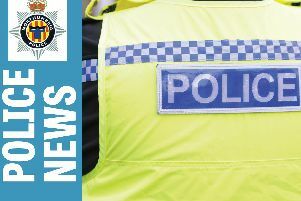 “Operations like this clearly demonstrate that police are taking a strong stance against these criminals and residents can be reassured activity to make further arrests is always in the pipeline.